We are the leading packaging machinery of India.These Machines are exported and supplied by us widely and they are preferred by our clients because of their high performance, excellent productivity and profitability. These machines have matchless designs and are fabricated with quality tested raw materials and components employing contemporary technology. We offer them in diverse specifications and also in the customized versions. 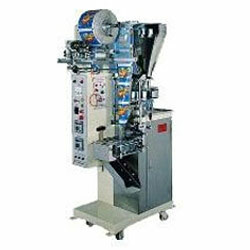 Shree Khodiyar Industries provides wide range of Packaging Machinery such as Tablet Packing Machine, Automatic Pouch Packing Machine, Auger Filling Machine, Packing Machine for Mineral Water Pouch, Packing Machine for Pepsi Pouch, Form Fill Sealing Machine and Semi-Automatic Tube Filling Machine. 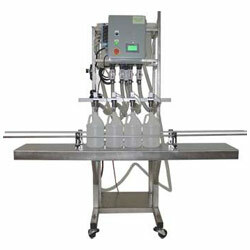 These machines have several user-friendly and application features. 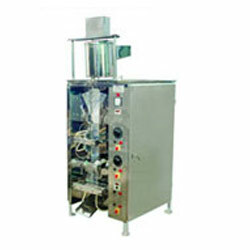 Our machines being robust and qualitatively made have good durability and we offer them at incredible price rates.